When I was a kid, I had one Transformers VHS tape. It contained two episodes that I watched over and over again because that’s all I had until a few years later when my step-brother came along with more. Those two episodes were season three’s ‘Call Of The Primitives’ and ‘The Girl Who Loved Powerglide’ from season two. 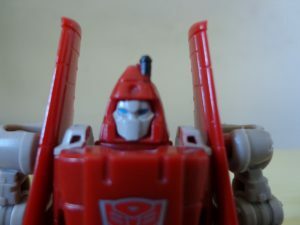 Because of this, I’ve always had a bit of a soft spot for ol’ Powerglide. 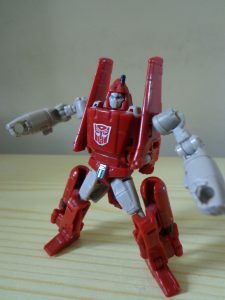 I was chuffed to bits when I saw that the Combiner Wars line was going to include a legend-class Powerglide. The next task; trying to get one in the UK, where distribution is insanely poor and uneven. Well, I managed to get one on the secondary market through a Facebook community. What a great little figure. Hasbro have been releasing some damn fine figures in this scale lately. Now before I get all nostalgic and pop on my rose-tinted glasses, this is by no means a perfect figure, just that in my estimation it’s the best representation of the character that I’ve seen. In plane mode, he is quite nicely detailed in that there is a fair bit of molded in panel-work. While there is some paintwork on the plane, mainly picking out details such as the cockpit and fuselage in black, it could’ve done with a little more. I know it’s only a small toy but there are some details such as the wheels that could’ve benefitted from a little paint. And as good as the plane looks from the top, when you turn it over, you can pretty much see the robot just standing there. It’s not a deal-breaker, however since the engineering is actually pretty impressive for its size. One nice touch is the retractable landing gear just underneath the nose of the aircraft. I always appreciate a landing gear. Now with some of the Combiner Wars Legend figures, a third mode is featured. This is one of those. And unfortunately the majority of these third modes are simply lame attempts at tying them in with the Combiners. 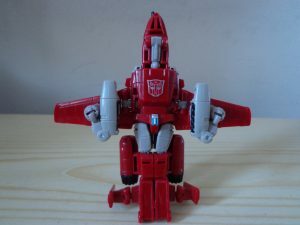 In Powerglide’s case, he’s become a Targetmaster, but, a really lame one. He transforms into a kind of super gun thing with rocket launchers on the side. The idea is that Superion can use him as a weapon. Before, when I said he transforms? I meant that in the loosest of terms. 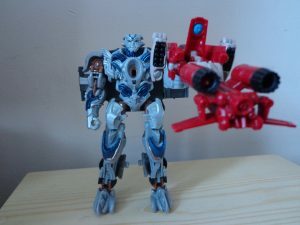 This ‘gun’ mode is essentially what you get when you half-transform him, but it does at least explain why he’s got bloody massive rocket launchers in his arms that are facing the wrong way in both of his other modes. 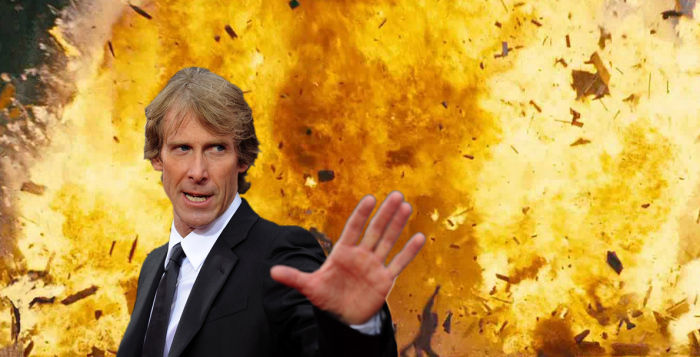 Now that nonsense is over with, let’s get him into a more recognisable state. And this is exactly why I bought him. I love this robot mode. 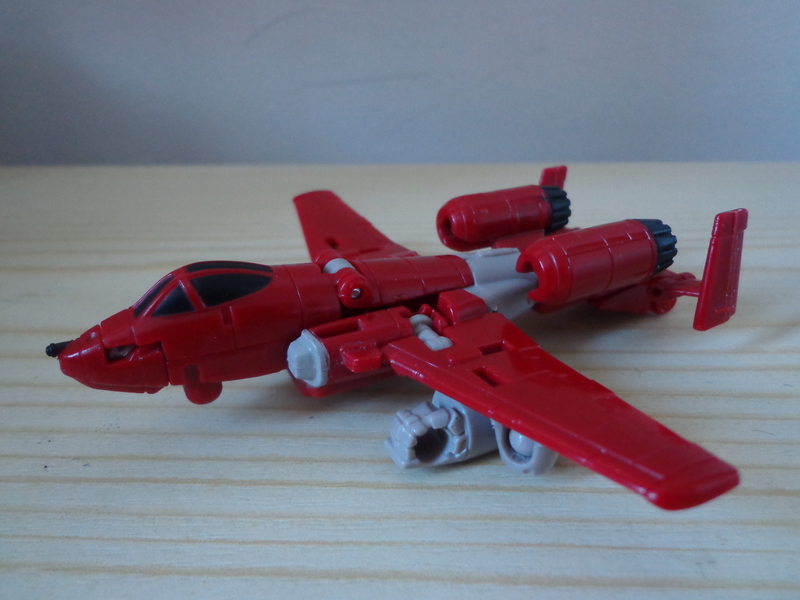 This is the ‘pip-squeak Autobot plane’ I remember, even down to the wing-shoulders and funny bullet-shaped head. 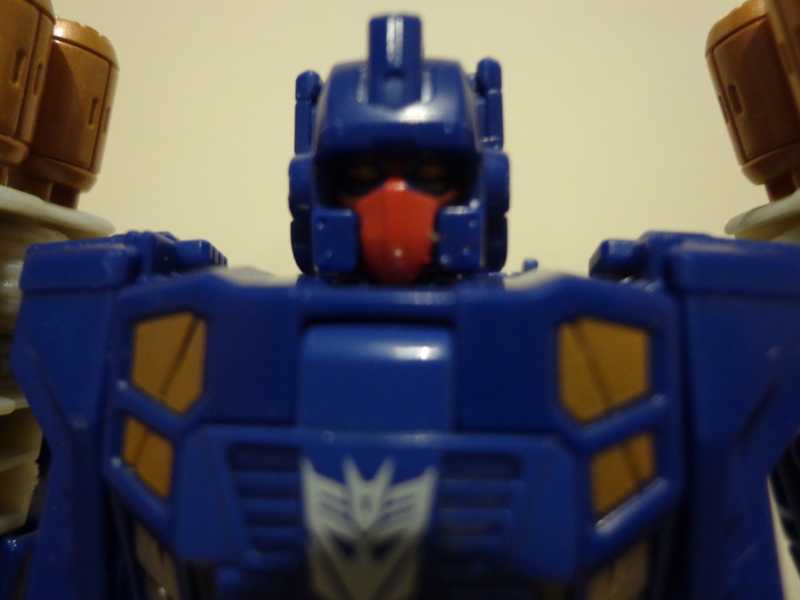 The molding on his face is fantastic and actually better than some of his deluxe-class contemporaries. The huge Autobot symbol on his chest may seem overpowering but is very evocative of both his G1 toy and Sunbow carton appearance. There are two things that I dislike about his robot mode. One of these is his great big Popeye arms. They would’ve been less bulky had it not been for the third mode. It doesn’t bother me too much though, as I can just picture him walloping Ramjet over the head with them. The other thing is a little more irritating and probably could’ve been dealt with better. It’s his huge buttflap. 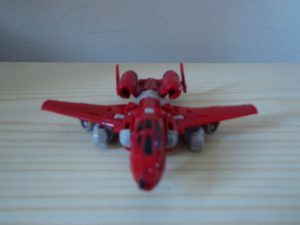 This flap is used as a kind of targeting aid in ‘gun’ mode but in robot mode it just gets in the way. If I had designed it, I would’ve had it fold up and lay flat against his back but perhaps budget constraints or something similar prevented that. It wouldn’t bother me if it wasn’t so prominent but it’s just there and it detracts from the look of the robot if you ask me. So that’s my thoughts on Powerglide. He’s a solid little legend in a line chock-full of solid little legends. When compared to the likes of Shockwave, Bombshell and others in the line, perhaps he doesn’t stand out but that’s just a testament to how well Hasbro are doing with these little fellas. If you only get one CW Legend-class figure, get Shockwave. If you get two, give this little guy a shot. You won’t regret it.